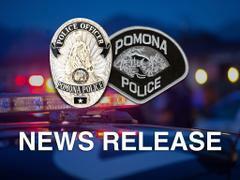 ***Update*** Police Detectives are Investigating a Suspicious Death in the 3300 Block of Pomona Blvd. On 01/04/19 Pomona Police Officers were dispatched to the 3300 block of Pomona Blvd to assist the Los Angeles County Fire Dept. with a deceased subject who was found lying in a business parking lot, and who had visible injuries to his facial area. It was initially thought the decedent was possibly struck or stabbed with a sharp object. Homicide detectives responded to the scene and assisted with the investigation. During the investigation, and based on the evidence, it was determined the decedents' injuries were most likely caused by a fall, and not by being struck with a sharp/blunt object. At this time we do not believe the decedent was a victim of a crime. The Los Angeles County Coroner's Office responded to the scene and are currently conducting their investigation. The decedents name is being withheld pending next of kin notification. LOCATION: 3300 Block of Pomona Blvd. On 1/4/19 at approximately 6:50 AM, the Pomona Police Department received a call to assist LA County Fire Department in the 3300 Block of Pomona Blvd. with a male down in the parking lot not breathing. Officers arrived on scene and found a male suffering from a possible stab wound. LA County Fire pronounced the victim deceased. Homicide Detectives were notified and are responding to investigate. Anyone with information regarding this incident is encouraged to contact the Pomona Police Department at 909-620-2085. If you prefer to provide information anonymously, you may call “Crime Stoppers” by dialing (800) 222-TIPS (8477), use your smartphone by downloading the “P3 Tips” Mobile APP on Google play or the Apple Store or by using the website http://lacrimestoppers.org.